I was rather surprised to hear that Ship builders do not provide the necessary information to optimize energy usage in the vehicles, it actually makes sense, no car manufacturer tells you how best to drive your car i.e when to step on the gas and when to step on the brakes. It is quite interesting that the founders of this company saw the opportunity and built a business. What was very interesting for me to understand was the sheer volume of time series data that they capture transport to a central server process it and make it available on a portal for the Fleet or Ship manager on shore to see. There are a number of challenges one has to factor, connectivity to the Internet is not continuous and the amount of data that can be transmitted is limited so I see algorithms that were used in the early days of the internet data transfer protocol should serve them well. I don’t know their software architecture but it should be an interesting problem to solve or improve on. 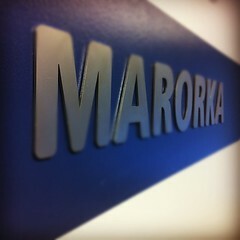 You are currently reading Marorka: A Startup Profile at Uncertainty.